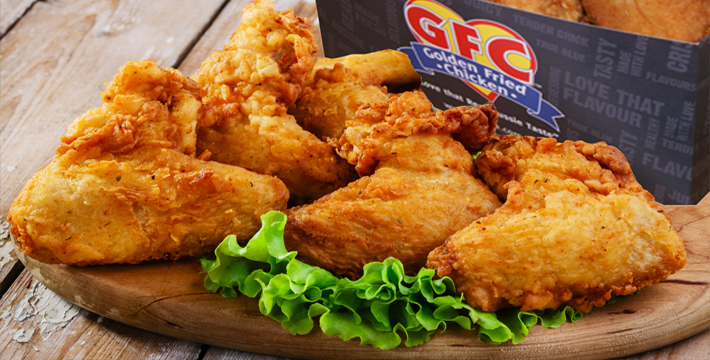 Golden Fried Chicken has a unique taste that customers love and which keeps them coming back for more. Our succulent chicken pieces will get any mouth watering and is sure to leave you wanting more. 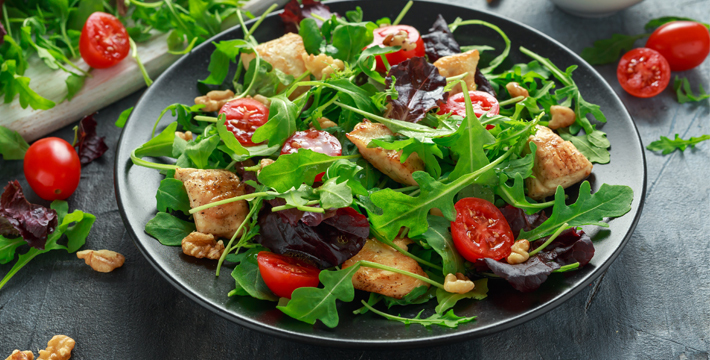 We offer a wide range of foods to cater to a discerning and health conscious consumer. You'll Love The Profits our GFC Add-On Food System Generates! 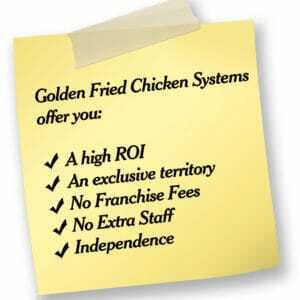 Golden Fried Chicken’s (GFC) Unique “ONE STEP” Cooking Process and best tasting chicken system on the market, offers your customers a brand name product that gives consistency and increases floor traffic, giving you more PROFIT! To find out how to add value to your business (07) 5473 9955. One of the very first food systems is still in operation. 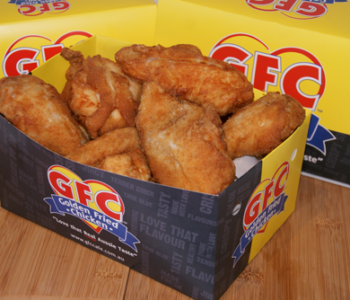 Golden Fried Chicken (GFC) pioneered the first unique “Grab and Go” Add-On Food System serving Australians with our much loved tasty Chicken meal options since 1989. We are the longest running Australian owned Family Run, Licensed Chicken system out there with well over 100 sites and expanding rapidly. Created to provide the same profitable fast food options as the high street franchises, we have been serving Independent Takeaways, Convenience Stores, Roadhouses, Bakeries etc….. with a licensed system without the franchising costs. We pride ourselves on offering our clients with an AFFORDABLE Add-On option to existing businesses with minimal outlay to suit your Budget. ONE STEP Cooking Method unlike others on the market. It is easy with no intensive labour !! No need for Executive Chef training at a cost of thousands !! We teach you exactly how to make our fantastic products at a fraction of the cost, and supply you with a fully comprenhensive manual. A large menu range of great tasting food. Dynamic branding on a full range of support material and packaging. Consistency and high standards of service. Blend this with the opportunity for you to make significant profits from a simple add on business and there’s nothing you won’t love about being part of the Golden Fried Chicken team. Our system is perfectly suited to established cafe’s, roadhouses, bakeries, delicatessens, fish and chip takeaway shops, food courts, universities, backpacker businesses and caravan parks. We provide all the right ingredients and with over 26 years experience we know what we’re doing and are committed to the success of our company. 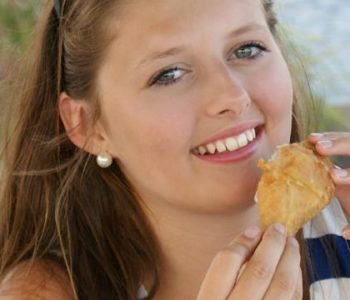 If you have the same drive to succeed in your business, we look forward to welcoming you as the next licensee in the Golden Fried Chicken group. 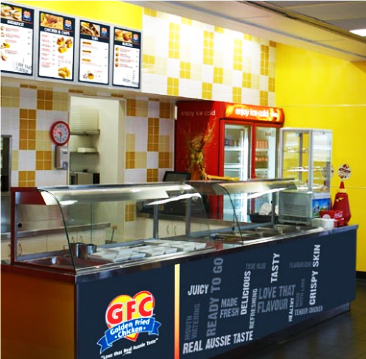 The GFC brand is powerful, we are only 500m from other well known multi-national food outlets and we hold our own. 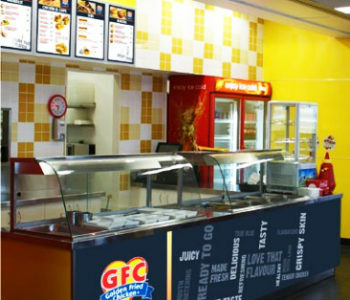 GFC has increased the value of our business by about 40%. 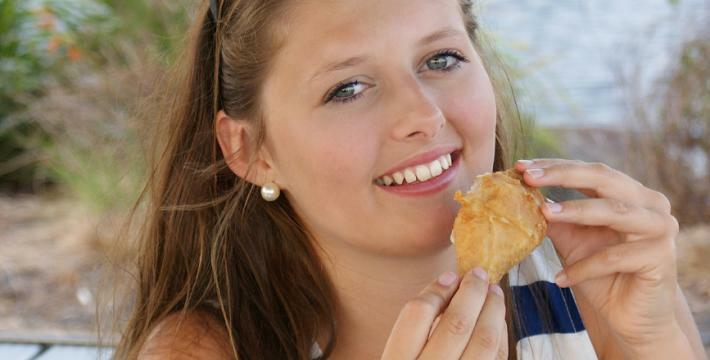 The Golden Fried Chicken is great, if it weren't for GFC we would not be here today. The system has added more than I can describe to my business.